Not all movers in Atlanta are the same. 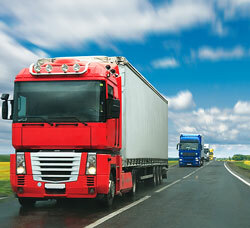 The old adage that you get what you pay for is especially true when it comes to moving and relocation services. If you are paying a low rate, you will likely receive low-quality moving service and possibly have some of your possessions damaged during the move. Bulldog Movers, on the other hand, uses large trucks outfitted with air-ride suspension for an exceptionally smooth move and superior protection of even your most fragile possessions. All of our 100-plus employees work solely for us, do not smoke, and are highly trained. We have a 40,000-square-foot facility where you can safely store any of your items, should you need to do so. We will pack and unpack all of your items for you if you like. We work flexible hours to accommodate your busy schedule. We install floor, door, and wall protectors to prevents scuffs, scratches, and other forms of damage. We have won the Consumers’ Choice Award for nine consecutive years and running. If you would like to learn more moving tips or find out more about our professional movers in Atlanta and more benefits of using trucks with air-ride suspension, please call or e-mail Bulldog today.